Delivered Denver 1/6/43; Dow Field 13/7/43; Assigned 388BG Knettishall 3/8/43; transferred 550BS/385BG [SG-F] Gt Ashfield /43; Missing in Action Oberpfaffenhofen 24/4/44 with Bill Nesen, Co-pilot: Bernie Gruble, Navigator: Jim Delo, Flight engineer/top turret gunner: Lee Lance, Radio Operator: Fred Howland, Ball turret gunner: Joe McKenna (6 Killed in Action); Bombardier: Chester Desormeaux, Waist gunner: Evan Wells, Waist gunner: Murdoch McNeil,Tail gunner: Ernie Mitchell (4 Returned to Duty); enemy aircraft KOd three engines, ditched Channel off Dungeness, Kent, picked up by Air Sea Rescue Walrus. Missing Air Crew Report 4452 . SLEEPYTIME GIRL. Recently an engine from Sleepytime Girl was brought ashore by a local fisherman, after it had caught in his nets. 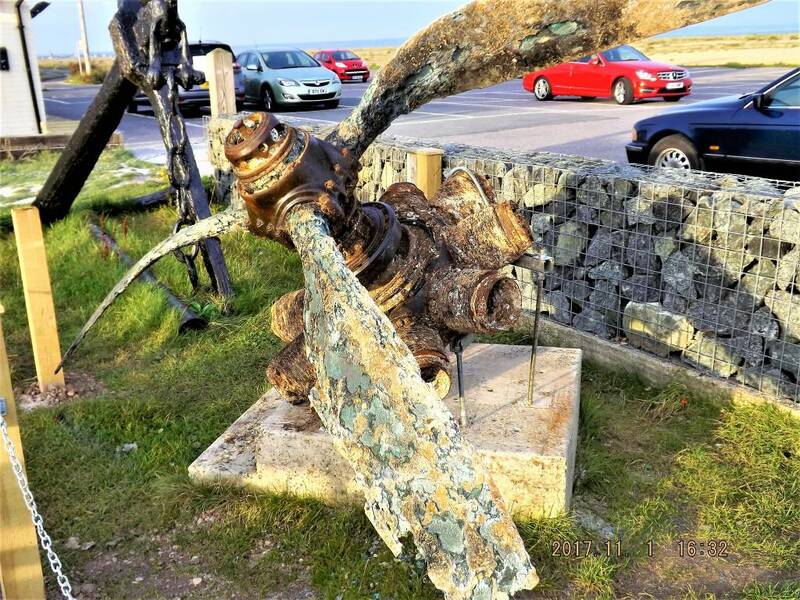 The engine is now on display at the Pilot Inn, here at Dungeness. 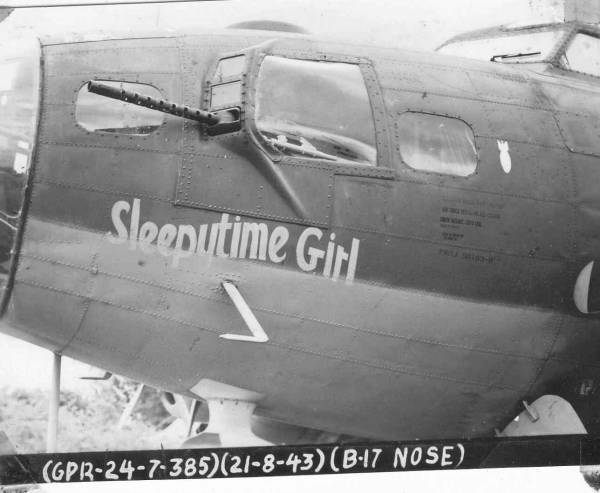 Sleepytime Girl’s mission was to bomb factories in Friedrichshafen, Germany. 27/28 April 1944 ZF Friedrichshafen A night attack by 322 heavy bombers damaged several factories and destroyed the factory producing tank gearboxes. 1,234 tons of bombs were dropped causing (an estimated) 67 percent of the town’s built-up area to be destroyed.